The Taunton Flower Show is held in Vivary Park in Taunton annually. The centre piece of the show are the large competitive classes and floral classes marquees. The floral marquee features traders who mount show displays of their flowers and plants and around the marquees are a wide range of horticultural traders. In the centre of the park is an arena where events such as marching bands, dog displays, dramatic motor bike events etc take place. The show, often referred to as The Chelsea Of The West, has been running since 1831. 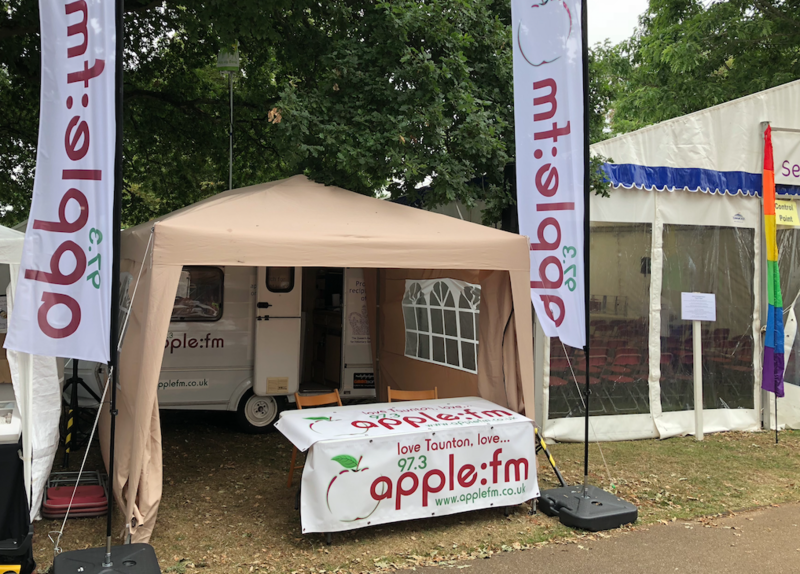 Apple FM traditionally always broadcast throughout both days of the event live on-site. This year was no exception as we broadcasted live for 16 hours to our listeners who weren’t lucky enough to attend the event themselves. At 2pm each day we, once again, broadcasted live from the Seeds Of Knowledge marquee for Ask The Experts. This is were the show visitors could ask their gardening questions to the experts in the know. Check out the Apple FM picture gallery of the show, click here. Click play below to see our video package from the show.